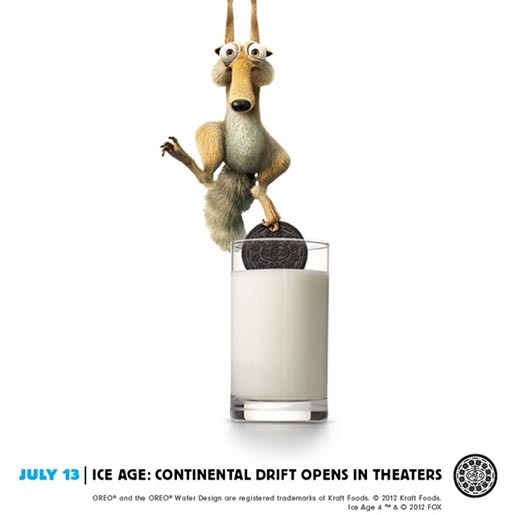 Oreo’s “Daily Twist” campaign has won one of the two Cyber Grand Prix awards this year at Cannes International Festival of Creativity. 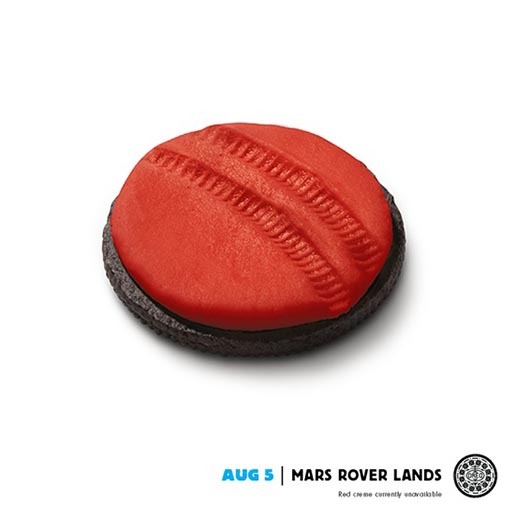 Marking the 100th year since the beginning of the Oreo cookie brand in 1912, the online campaign set out to celebrate the culture of the day, every day. 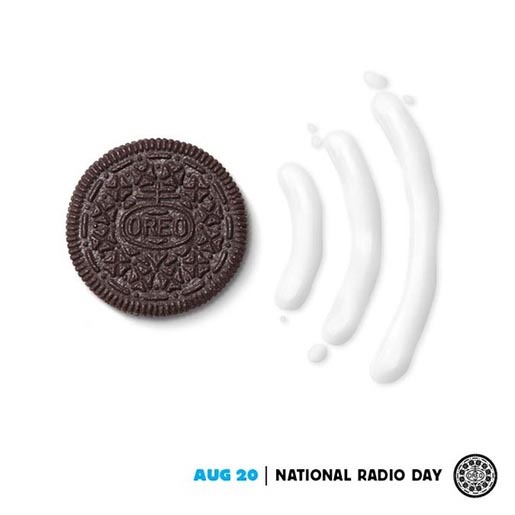 Each morning, over 100 days in 2012, trending news stories were given a playful OREO twist, and sent out through the Oreo Daily Twist microsite, Oreo Facebook page, Oreo Pinterest pinboard and Twitter feed using the #DailyTwist hashtag. 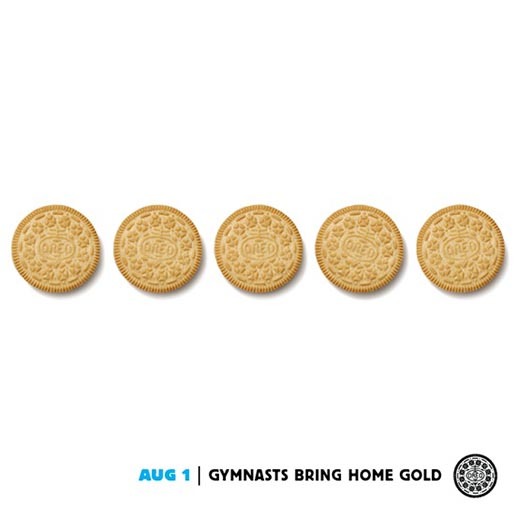 pushed a brand-new ad to our social networks. Results? 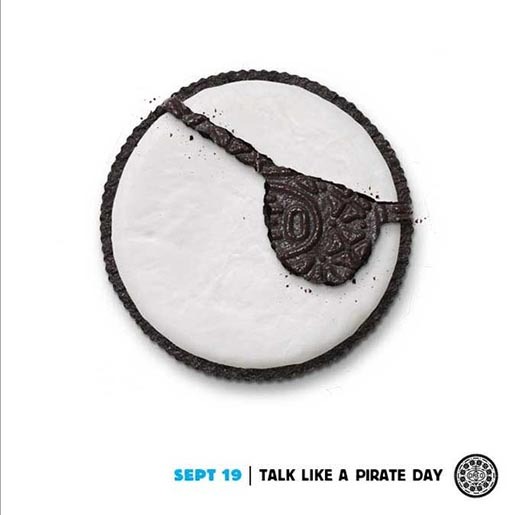 433 million Facebook views with +280% increase in Shares, creating 231 million media impressions and making OREO the brand with the highest buzz increase in 2012 (+49%). 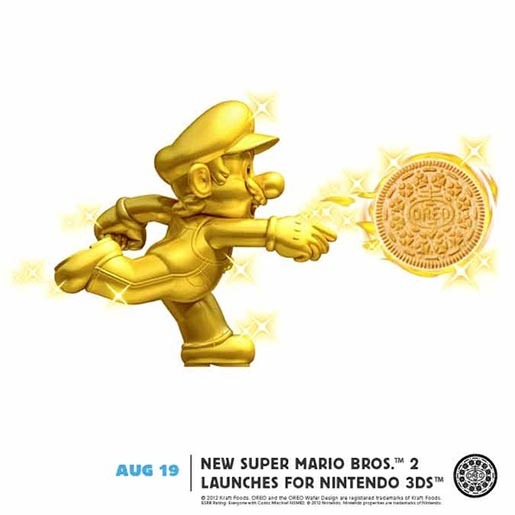 See also the 100 Years in History campaign and the Oreo Pride Twist. 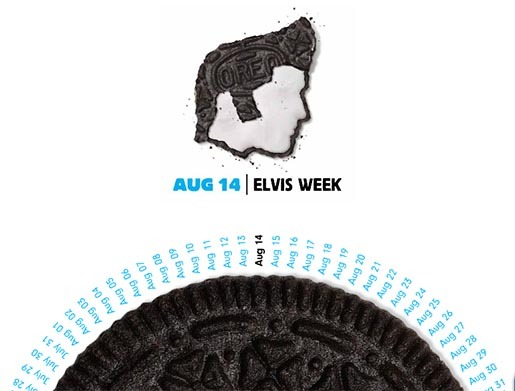 The DailyTwist campaign has also won Gold for Social Media, Silver for Content & Contact, Bronze for Engagement at the Clio Awards, the Blue AWard (Best in Show) at the Facebook Studio Awards, Gold, Silver and Bronze at the Effie Awards, GOld at the Andy Awards. 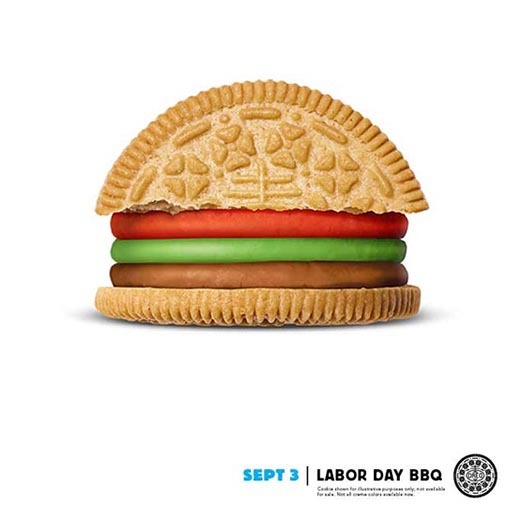 The Daily Twist campaign was developed at DraftFCB, New York, and 360i, New York, by group creative director Jill Applebaum, creative director Megan Sheehan, senior art directors Jared Isle and Jackie Anzaldi, senior copywriter Noel Potts, art directors Sebastien Zanini and Mike Lubrano, copywriter Pierre-Marie Faussurier, director of integrated production Anthony Nelson, producer Nicholas Orsini, global strategy director Auro Trini-Castelli, group mamangement director Susan Polachek, account executive Steven Mergaman, account director Lori Johnson working with Mondelez International brand managers Danielle Brown and Jennifer Hull, Oreo director Cindy Chen, Nabisco VP Lisa Mann. 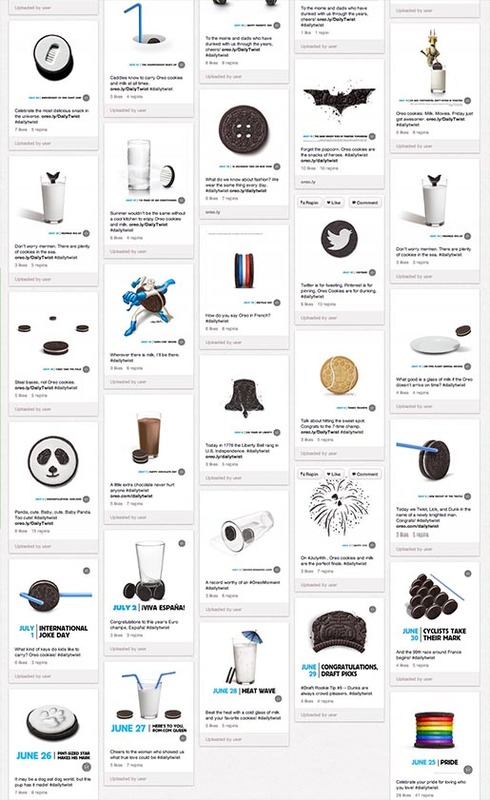 Web development was done at 360i, New York, by group account director Sandra Ciconte, president Sarah Hofstetter, associate creative director Adam Gloo, art director Stuart Carnes, motion designer Jesse Shaver. Media was handled at Mediavest by communications director Virginia Carey and associate media director Paul Yates. PR was handled at Weber Shandwick, Chicago, by VP consumer services Sarah Yaffe and deputy general manager for consumer services Russ Dyer.